The idea for the Stanley Thompson statue began during a golf outing at Cape Breton Highlands in the fall of 2007. A group of good friends started asking what if we could do something that would enhance Cape Breton Highlands as one of the best golfing experiences in the world—what if we could give something back to the course and the community of Ingonish? After some discussion this group of friends decided to form a group with the goal of raising funds for the creation of a monument. 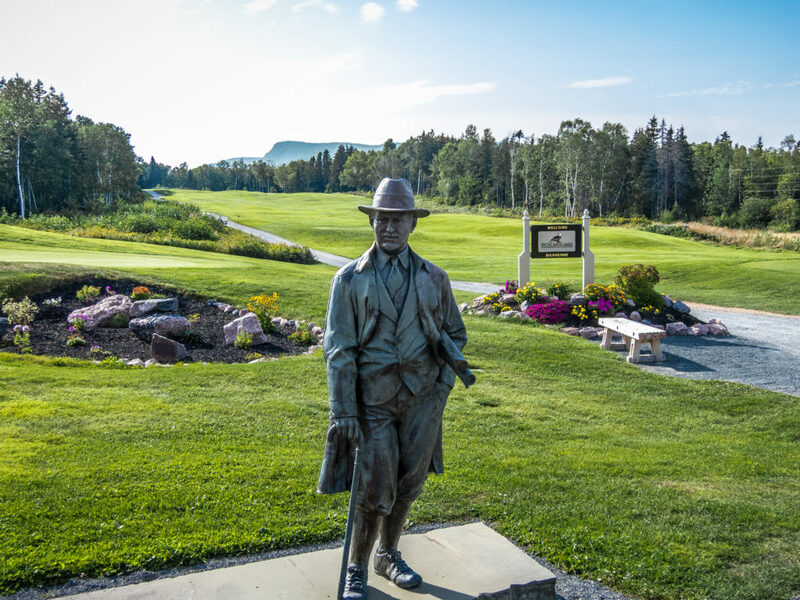 The vision was a monument that would recognize the course designer, the legendary Stanley Thompson, and the community of Ingonish which provided the land and labour for the creation of the course which officially opened July 1, 1941. In early 2008, a fundraising plan was successful in raising the funds required to complete the bronze statue of Stanley Thompson, as well as the commemorative plaques that are now proudly displayed near the number one tee on the course. The Stanley Thompson statue was created by Canadian Sculptor Robert Dey and was official unveiled September 16, 2012.